Adopt an Animal – Give them a Second Chance! 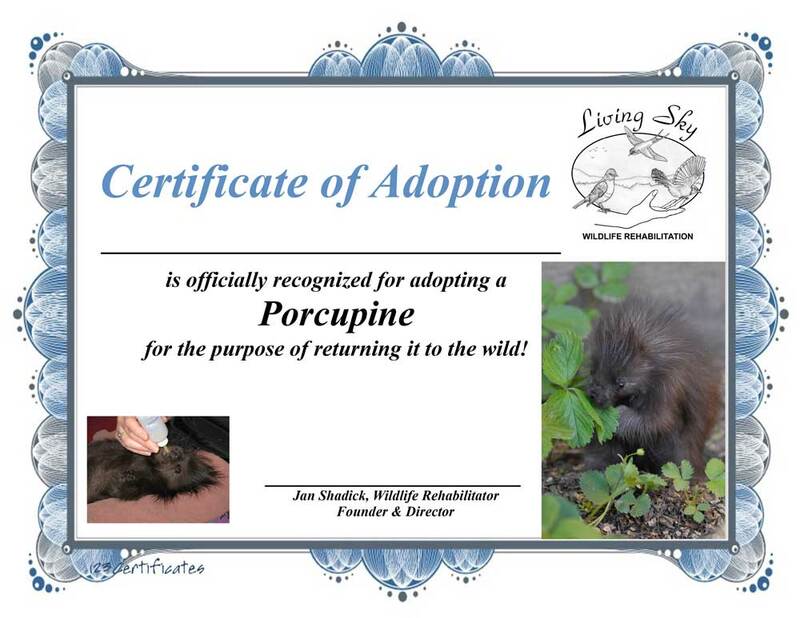 Animals may be “adopted” through Living Sky Wildlife Rehabilitation in Saskatoon, Canada, to support their successful rehabilitation and release back to the wild where they belong. Your adoption fees go toward food, housing, medical care, transportation, and general care of the animal to prepare it to return to its natural habitat. You may pick your favourite animal or leave the selection up to us. Adoption certificate stating the Adopter’s name and the type of animal adopted.